In the small Amish town of Sugarcreek, Ohio, Joshua knows what's expected of him: to work at the family store and to finally marry Gretta, whom he's courted for years. But when a new English family moves in next door—and their teenage daughter catches his eye—Joshua wonders if his future plans are too firmly set in stone. Gretta is shocked by the sudden change in Joshua. Their arguments followed by tense silences feel too much like the frosty atmosphere at home between her parents. 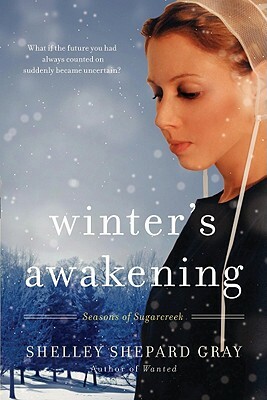 When Roland begins to take an interest in her, she considers what her life might be like with Joshua out of the picture. With Roland, Gretta would have steady, kind companionship...although she knows she could never love him. When Lilly moved to Sugarcreek, she never imagined she'd be enamored with the Amish way of life—and especially with her handsome new neighbor, Joshua. But she guards a secret that will surely drive him away, one that compelled her family to leave their old home and move to Sugarcreek in the first place: Lilly is pregnant.